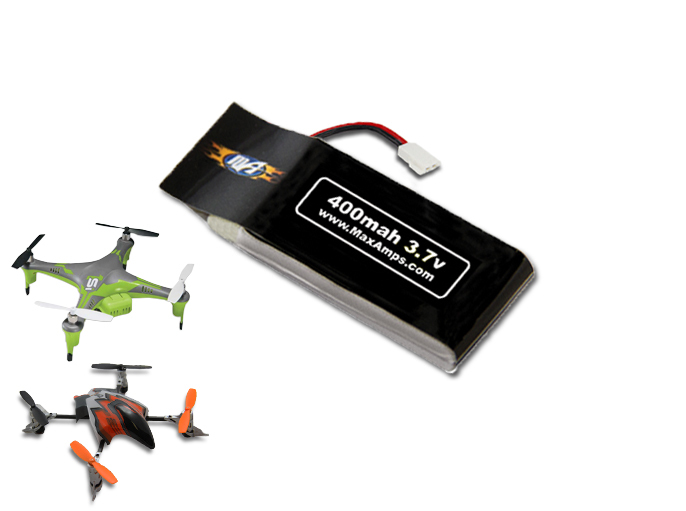 Perfect lipo upgrade for Heli-Max 1SQ, 1SQ V-Cam, and 1Si series Quadcopter. Get longer flight times, more power, and more cycles. Note: This battery can be charged with stock USB charger. For faster charge times you can upgrade to one of the hobby grade chargers we offer here at MaxAmps. Note: Polarity on this battery is specific to the Heli-Max 1SQ/1SQ V-Cam/1Si series and can NOT be used on the Traxxas QR-1. V-Cam users: We have found that this battery will fit better if you loosen the 4 camera mount screws two revolutions.